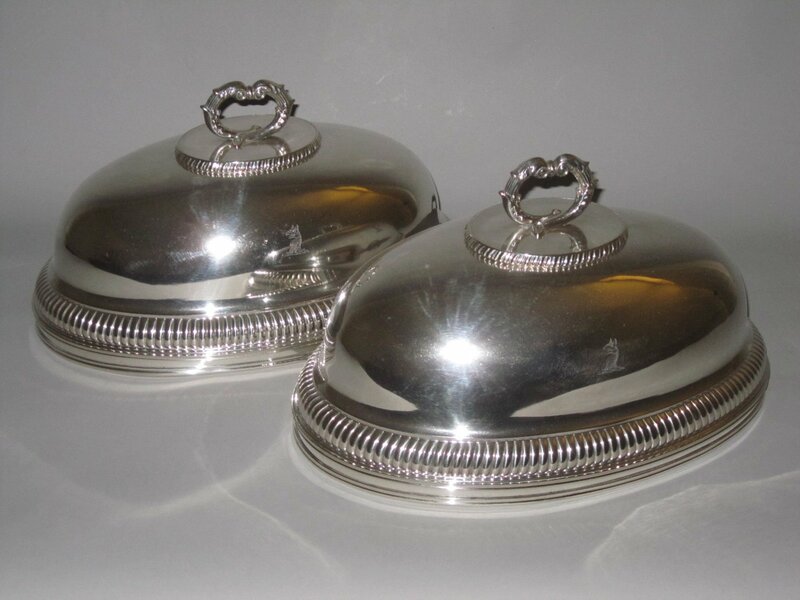 A FINE PAIR OF OLD SHEFFIELD PLATE SILVER DISH COVERS. GEORGE III, CIRCA 1810. Of oval gadroon girdle form, double scroll cast handles. Engraved crest. Family: Dashwood, Godsale, Jackman and others.